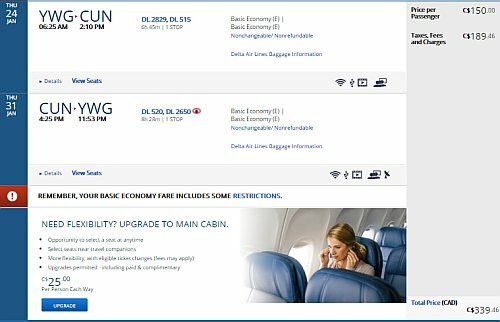 Delta has dropped the price of their winter flights from Winnipeg to Cancun, Mexico down to $339 CAD roundtrip including taxes. 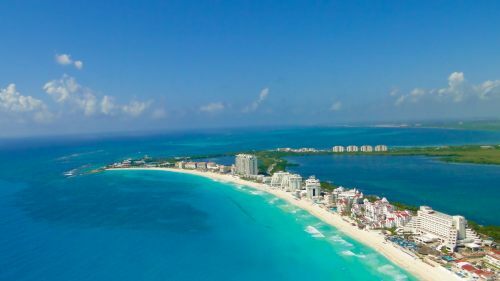 This is 34% below the typical best prices for a roundtrip flight from Winnipeg to Cancun. The flights have 1 stop each way, in Minneapolis for 1 to 2.5 hours. 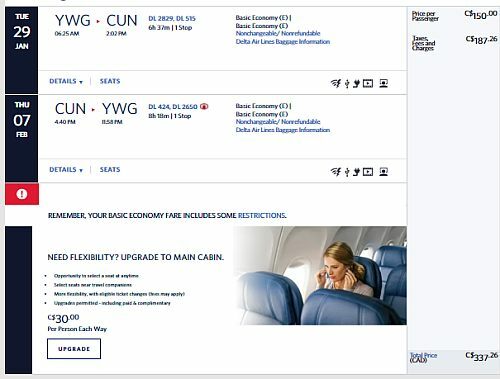 winnipeg, ywg, mexico, flight deals, delta, cancun, cun and north america.